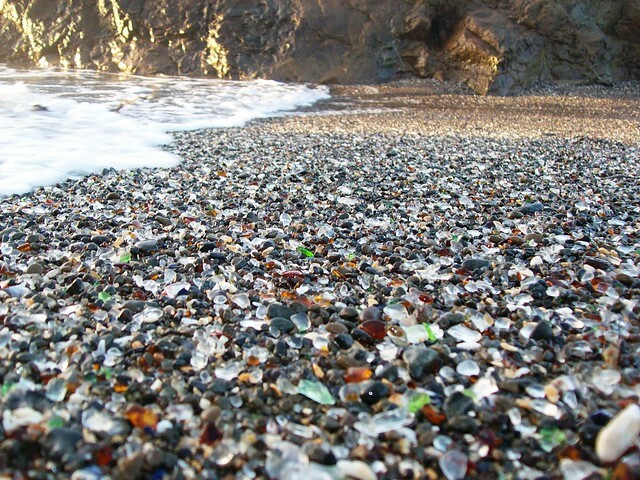 When you see the photos of this beach you might think to yourself “wow, that’s cool!” But when you realise that those millions of shine color stones are actually wasted glass coming from old bottles, glasses, etc your feelings change drastically. 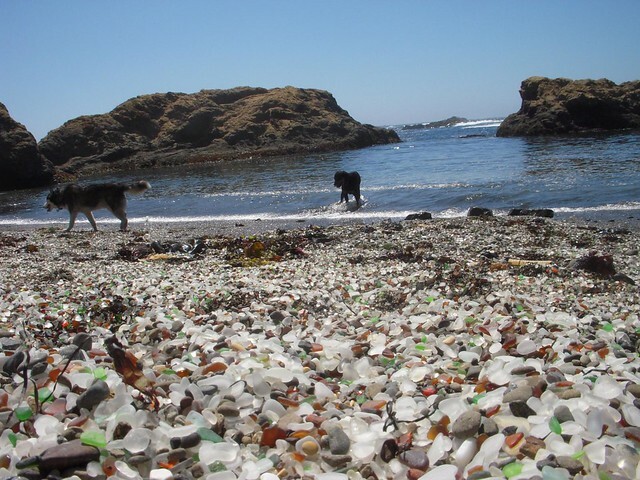 Crystal Beach is located in the Mendocino Coast in California, USA and consists of millions of small pieces of eroded glass. From 1950 to 1967 a company started to use the beach as a dumping ground, so tons of trash, including glass, porcelain and all sorts of waste ended up on the Pacific coast. Years of sea erosion modeling wasted materials ended up transforming the beach into an cemetery of pieces of glass which is actually one of the greatest tourist attractions of the coast of Mendocino. Even visitors are recommended not to pick up any glass to preserve the “artificial beauty” of the place: the shiny crystals display their colorful beauty specially on a sunny day creating a striking effect that catch tourist eyes straight away. Human activity is often responsible for the destruction or transformation of many landscapes. But sometimes, those artificial landscapes hold a mysterious and magical beauty as for example the glass beach located in Mendocino. The beach was recently acquired by the state of California and it is now a protected area. And, of course, some urban legends have started to circulate about the origins of the crystal pieces resting on the beach: Some people state that the glass comes from an old glass factory, which is false according to the locals. Although this is a sad spectacle of human contamination and we hope it won’t happen again, you might want to visit the beach anyway. To reach the beach you have to travel to the town of Fort Bragg and once there, head north along the main street until you cross a street that has the name of Elm Street. Then, take this road west and you will reach your destination. Once there, you will see how nature is able to repair the damage caused by man.